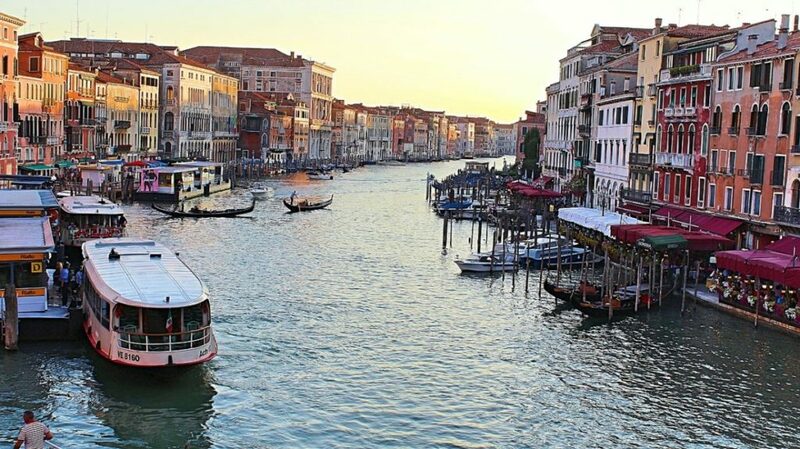 Do you want to travel from Venice to Verona, or vice versa? This handy guide can help you find the best route between two of Italy’s most popular tourist destinations including a guide on how to buy train and bus tickets in Italy. If you traveling in Northern Italy, there are good chances you will want to visit both Venice, or Venezia in Italian and Verona. These two cities are located approximately 115km apart, depending on which route you take. Venice is one of the world’s most famous cities, where you can enjoy beautiful canals, jaw-dropping architecture, and tasty street food. 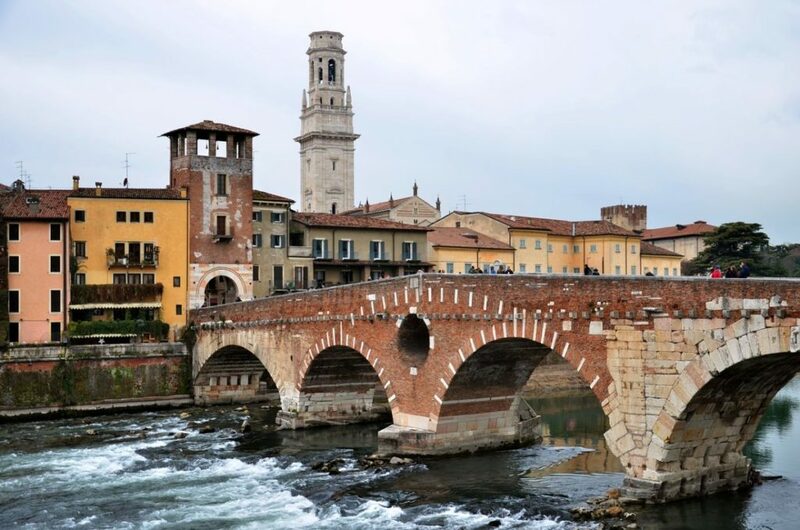 In Verona, you can take in a performance at the open air opera house, re-enact a famous play on Juliet’s balcony, and immerse yourself in a rich cultural experience. Adventurous tourists can even break their journey up by making a stop in Padova. Thanks to Northern Italy’s excellent infrastructure, there are several ways to travel between the two cities. And the good news is, almost all of them take less than 2 hours. Let’s have a look at the pros and cons of each option, including prices, travel duration and how you can buy your tickets. The easiest, fastest, and most comfortable way to travel between Venice and Verona is by train. Catch your train from Venezia Santa Lucia, the only station within walking distance of the city centre. From here, your ticket should be to Verona Porta Nuova, the largest and most central station in the city. There are usually more than 50 trains per day operating between these two stations, so you have loads of choice. Prices usually start from €9, and depend on type of tain and season. The cheapest ticket will get you onto a regional train – slower, older trains which make several stops along the way. These are okay, especially if you’re travelling on a budget. For those with a bit more cash to flash, high speed trains start at €16. They are generally more comfortable than the regional trains and make fewer stops. Most of the trains operating on this line are from Italy’s national train network – TrenItalia. These include regional, FrecciaRossa, and FrecciaBianca trains. The remainder are from Italo, a private company, which are easily recognisable from their distinctive rabbit logo. Train times can be as short as 57 minutes on a high-speed train. Regional trains can take anything from an hour and a half, up to two and a half hours. You can travel from Venice to Verona by bus, and prices start at approximately €8. From the centre of Venice, it’s best to book a bus from Tronchetto, the main car park by Piazzale Roma. Buses that leave from Mestre or Marco Polo airport require extra planning. Mestre is a ten-minute journey from Santa Lucia train station, and it costs €1. The airport is twenty minutes away which costs €2-3. A train is probably more convenient. It is not possible to fly directly from Venice to Verona. However, the excellent rail and bus links mean that even if you could, it wouldn’t be worth the trouble! Renting a car to travel can end up being very expensive! A small car, like a Fiat 500, starts at €14 per day, but this doesn’t include fuel or a deposit. For such a short journey, it’s a better idea to use a car sharing website such as BlaBlaCar, where you can find rides with locals for as little as €6. It’s a great way to practise your Italian! Hotel Aurora – an reasonably priced hotel in one of the best areas to stay in Verona, close to the Juliet’s house. Hotel Bologna – a great hotel close to the Arena, in the center of Verona. If you are traveling to Venice and Verona you might want to check some of our other guides to Italy. Check where to stay in Venice and the best places to stay in Verona. You can also read our post on how to travel from Verona to Milan.